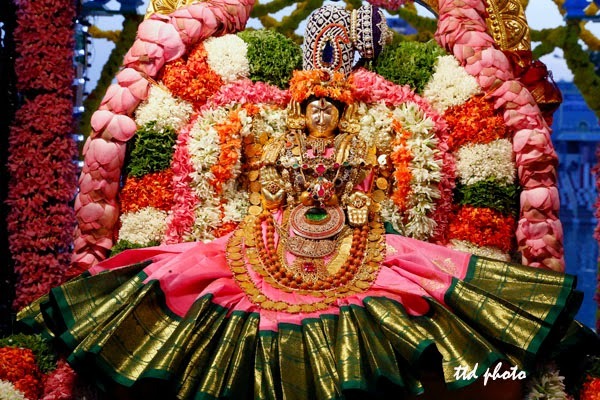 Sri padmavathi Ammavari Temple float festival will be performed 29th May to 2nd June. Every day 6:30pm to 7:30pm float festival will be celebrated in padmasarovaram. 1 29-05-2015 Fri 6:30 to 7:30pm Rukmini, Satyabhama along Sri KrishnaSwamy. 2 30-05-2015 Sat 6:30 to 7:30pm Sri Sundara Raja Swamy. On behalf of this Kalyanotsavam, Unjal Seva, Lakshmi pooja are cancelled on those 5 days.